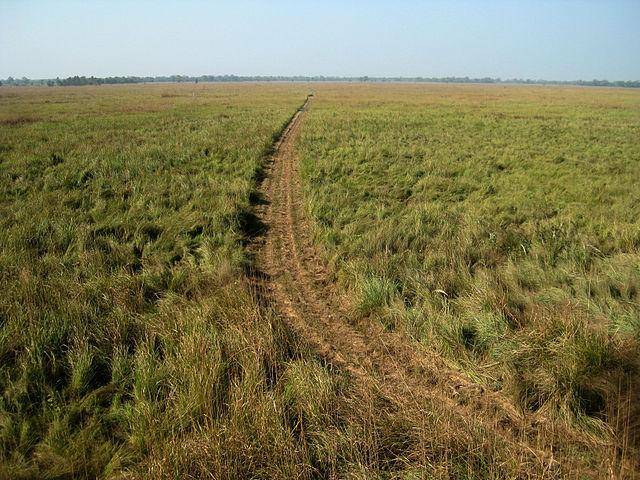 Shuklaphanata Wildlife Reserve also falls in the Terai of the Far-Western Region that covers 305 km² of open grassland, forests, and rivers. Its name is derived from the largest grasslands. The wetlands and grasslands are a home to a distinctive and rare species of wildlife. Residing in the Kanchanpur district of west Nepal, you are expected to feel the multi dimensions of nature’s miracles. They say that the reserve has the largest herd of swamp deer in the world, with some herds comprising of over 700 individual deer. The only thing more astounding than this figure is the fact that only a decade or so ago a herd had an increased number, which is an ecstatic thing for the state and country. Shuklaphanata Wildlife Reserve has 43 species of mammals and 425 species of birds. Its rivers and streams have mugger crocodiles and smooth-coated otters, besides 27 species of fish, which include the golden mahaseer and rohu. Reptiles include golden monitor lizard, Indian python, and several species of cobras. The reserve has a good network of roads but lacks a well-adjusted public transport route. The buses are almost nonexistent but still it doesn't fail to impress a huge number of tourists and drags them to its entrance every now and then. Visit this place to experience the ever mustard and soothing lands of ‘savannah’, or a safari just as similar but much better than one in Africa.